Ever since coming to Berlin I have been bit by the travel bug. I want to go everywhere but needless to say I have neither the time nor the money to do so. Sigh. Still though, one can dream, and my aim is to save for a few months and go somewhere more farfetched than Europe next year like Thailand or Sri Lanka. In the meantime, I have been going crazy for travel posts and videos and came across the Wanderlust tag done by the lovely Sarah and though ‘why not’! Here goes nothing! – What is your most treasured passport stamp? I have none. Unfortunately I have never been far enough away from Ireland to get one. Next year I tell you! – Can you recite your passport number from memory if asked? Hell no! Sometimes I am even lucky if I know where my passport is. – Preferred method of travel: planes, trains or automobiles? Albeit the slowest option, but I would pick to travel by car. I don’t drive myself so get the luxury of lounging in the passenger’s seat and even the possibility of a nap! What I like most when travelling with a car is the flexibility – you can to stop where you want or to take a detour through a village with a pretty name. A book, some snacks and my iPod. – Hostel or a hotel? Another fail for me because I have never stayed in a hostel. Maybe I should add that to my bucket list. – Are you a repeat visitor or do you like exploring new places? The only place I have ever revisited was London but I guess two of those visits don’t really count because I was taken there as a child. Although I have never intentionally chosen not to go back to a place, I think that I would much prefer to explore somewhere new. The only exception would be when visiting a friend. – Do you read up on your new destination or do you just wing it? I love reading up on where I am going to visit and make a massive list of the things I want to do and see. I do not always abide by the list but I like having an idea of what to expect beforehand. 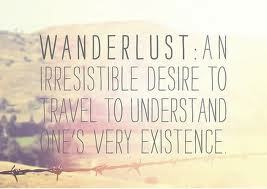 I can’t say that I have one but at a push I would say Lonely Planet. – Where would you recommend a friend to visit? Name city and why. Rome, the answer would always be Rome. Someday, if I am lucky, I will retire there. It is such an amazing city with the historical aspects of it being particularly appealing to me. Not to mention how great the food was! – You’re leaving tomorrow; money is no option, where are you going? One thing you all might know about me by now is my desire to go to New York. If the opportunity was there to go right now I would jump on board the plane in a heartbeat. Quotes Series VII: Be Creative!